The $1 trln H2O sector is growing slower than hoped despite rising threats to cities and companies from drought, flooding and population growth. But efforts to cut greenhouse gases could boost demand in 2017. General Electric is quitting the business at the wrong time. 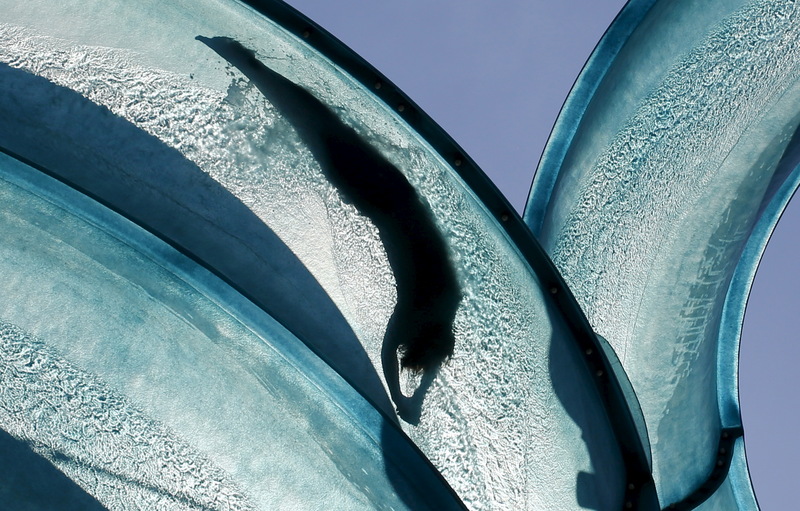 A visitor is silhouetted as she slides down a huge water pipe at a public swimming pool on a hot sunny day in Vienna, Austria, July 22, 2015. Gina McCarthy, administrator of the U.S. Environmental Protection Agency, on Dec. 6 said $685 billion needs to be invested in the country's water infrastructure over the next 20 years. Water risks for all companies are growing rapidly, according to the annual Global Water Report published by nonprofit climate-disclosure firm CDP on Nov. 15. The report also outlined how businesses are in general not moving quickly enough to manage water sustainably - but also that those that have are often able to dramatically reduce their carbon emissions. General Electric is in talks to sell GE Water. The conglomerate put the unit on the block when it announced it was merging its power business with Baker Hughes on Oct. 31. GE Water earns between $250 million and $300 million a year before interest, taxes, depreciation and amortization, according to the company. Based on multiples paid in previous deals, the division could be worth up to $3.3 billion.